With the rise in the prices of raw materials and higher labour costs, the fashion trade is facing great challenges. Fashion is becoming more expensive. What does this mean for the eco fashion segment? The question occupying people is the question of prices: how will garment prices develop in the coming weeks and months? Who is holding prices down, who is making the customers pay more? And how will the consumers react in times of nervous financial markets? These are the questions that are occupying retailers just as much as the business as a whole: it is a long time since the industry had to contend with upheavals of this kind. Jana Kern analyses the market situation and sounds out the opportunities and risks for the green fashion market. The GREENshowroom in Berlin was a complete success. The quality of the visitors, the high-quality ambience and the extension of the trade fair to include the “GREENshowroom featuring Ethical Fashion Show” met with a particularly positive response. Three days of GREENshowroom in Berlin – all the renowned retailers from the eco fashion scene were present, including Avocadostore, Good True Beautiful, Hessnatur, Iki M, Lieblingsstyle, Modehaus Hempel, Glore, Organicc and Unique Nature. But international companies like Adidas, Zalando and Yoox were also among the visitors. 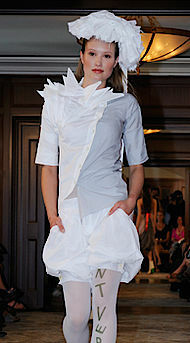 With a line-up of 40 exhibitors, the GREENshowroom is the largest platform for green fashion during Berlin Fashion Week. Intelligent ideas for more sustainable design are revolutionising the market. Fibres from organic milk, green innovations for knitwear design, biomaterials made of renewable raw materials and minerals: be it the world of fashion or architecture, ecological materials are stirring up the market and providing new impulses. 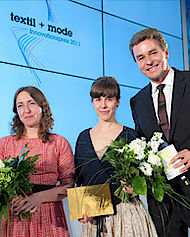 Who were the most innovative green award winners in the last few months?Monate? More than 100 exhibitors, Gabriella Cortese as patron and a wealth of material for discussion on the topics of luxury and solidarity, craftsmanship and recycling. New intervals, new dates. There’s less than a week to go before the Ethical Fashion Show in Paris. More than 100 exhibitors have registered for the trade fair, which will be held from 1 to 4 September 2011 at the Carrousel du Louvre. 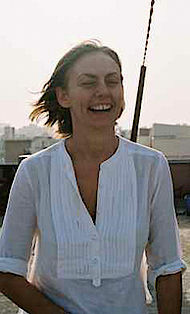 Patron of this year’s event is Gabriella Cortese, designer of the French Antik Batik label. The Ethical Fashion Show is becoming increasingly relevant as a platform for ecologically and socially compatible fashion. The event, which was initially held once a year, has therefore been extended to include three additional fairs each year. 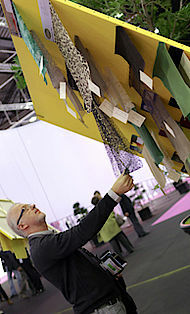 The Texworld in Paris (19 to 22 September 2011) has intensified its commitment in the sustainable textiles segment and will hold the first Sustainability Day on 20 September 2011. Also new: the Eco Lounge information platform. A day devoted entirely to sustainability: Sustainability Day will be held at the Texworld in Paris for the first time on 20 September 2011. The day will offer a round of lectures on current topics from the fields of ecology, social standards and transparency in the textile value creation chain. Organisations such as the RITE Group, GOTS, WRAP, and the Soil Association will take part. Phil Patterson, Managing Director of the Colour Connection consultancy firm and RITE Group Chairman, will open the programme with his foundation lecture ‘Introduction to Sustainability’. Also new is the Eco Lounge. Design and eco design? For Japanese trend expert Sachiko Inoue, there is no difference. At least not as far as the trends for autumn/winter 2012/13 are concerned. What are the trends for autumn/winter 2012/13? 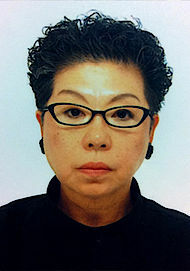 Sachiko Inoue is a Directions Trend Committee member of the Interstoff Asia Essential (6 to 8 October 2011). 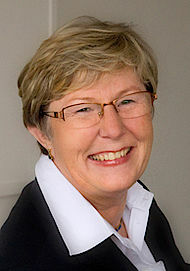 Visitors to this international textile fair in Hong Kong will be able to listen to her trend lectures, in which she provides an overview of the latest developments. In the interview, she talks about trends and innovations, about gentleness and kindness, the revival of culture and tradition and the effect of the disaster in Fukushima. Texprocess Forum: 42 lectures. More than 900 participants. The most important topic: sustainability. Four days of Texprocess in Frankfurt, four days of expert knowledge concentrated on the topic of sustainability along the textile value creation chain. There was a good deal of intensive discussion at the Texprocess Forum. More than 60 international ecological and social standards now available online at a glance. The Ecotextile Labelling Guide has gone online. 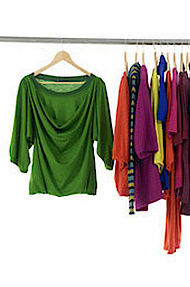 The Ecotextile Labelling Guide has taken the industry a good step further. The first ecotextile labelling handbook to provide an overview of the leading international ecological and social standards was published by MCL Ltd in cooperation with Messe Frankfurt in October 2008. After being updated last year, the new edition of this guide to the label jungle is now also available online. Mark Barry, Head of CSR at Marks & Spencer, will open the fifth RITE Croup Conference in London on 12 October 2011. This time, the fifth conference of the RITE Group in London will be all about metrics and textile supply chain traceability. Mark Barry, the Head of Sustainable Business at Marks & Spencer, will open the event on 12 October 2011. Many other CSR experts will be there to shed light on the topic of sustainability from various angles and provide a programme that is both varied and interesting. 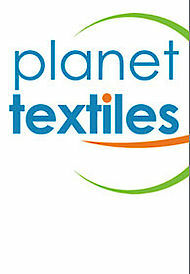 Planet Textiles is the meeting point for major players in the industry. At the Planet Textiles International Conference (19 October 2011), high-profile speakers from the textile sustainability scene will discuss sustainable sourcing for textiles. Wal-Mart and Levi Strauss, Esquel and Crystal Group – it will not be long before influential players from the textile industry are presenting their high-profile speakers at Planet Textiles. At the international conference in Shanghai on 19 October 2011, they will discuss the current developments in sustainable sourcing. International brand manufacturers will be joining leading Asian producers, NGOs and representatives of the Chinese textile industry. 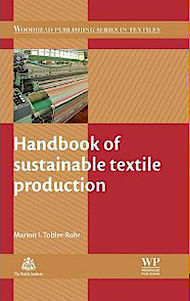 From agriculture to production and recycling – the handbook of sustainable textile production by Dr Marion I. Tobler-Rohr gives a deep up-to-date insight into environmentally friendly and socially responsible processes in the textile and clothing industry.